This beauty has a butterfly-style leaf, making it easy to squeeze in a few more holiday revelers. 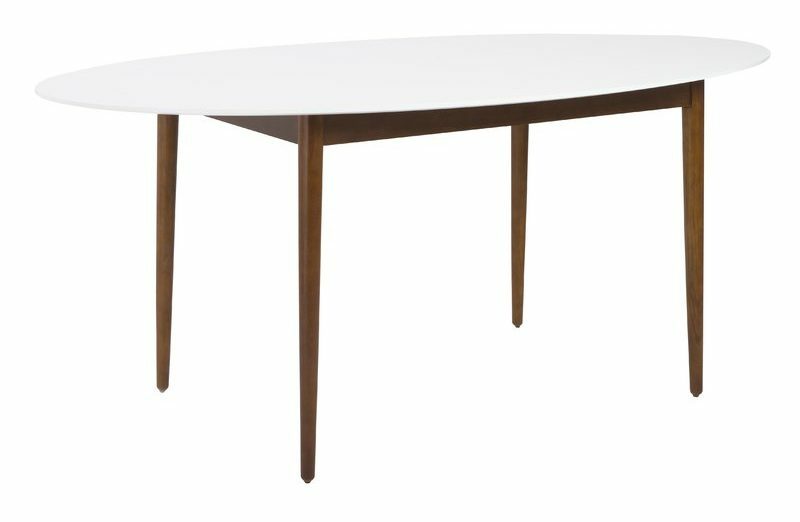 What’s not to love about this sleek, oval table? 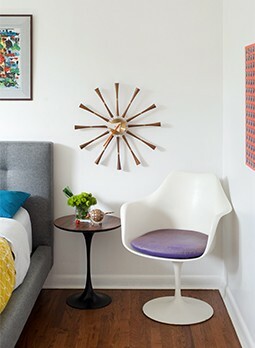 A matte white top and oak legs combine for a high-contrast, high-style look. 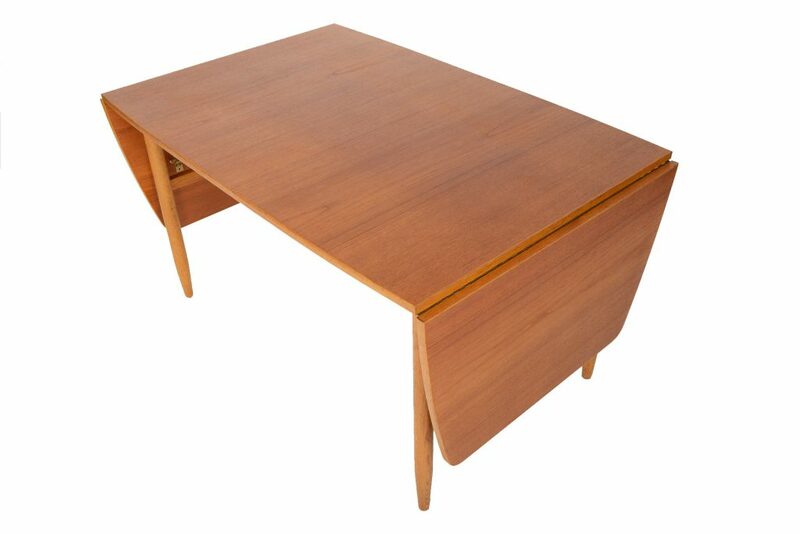 Teak + Oak Drop Leaf Dining Table. Looking for something vintage? 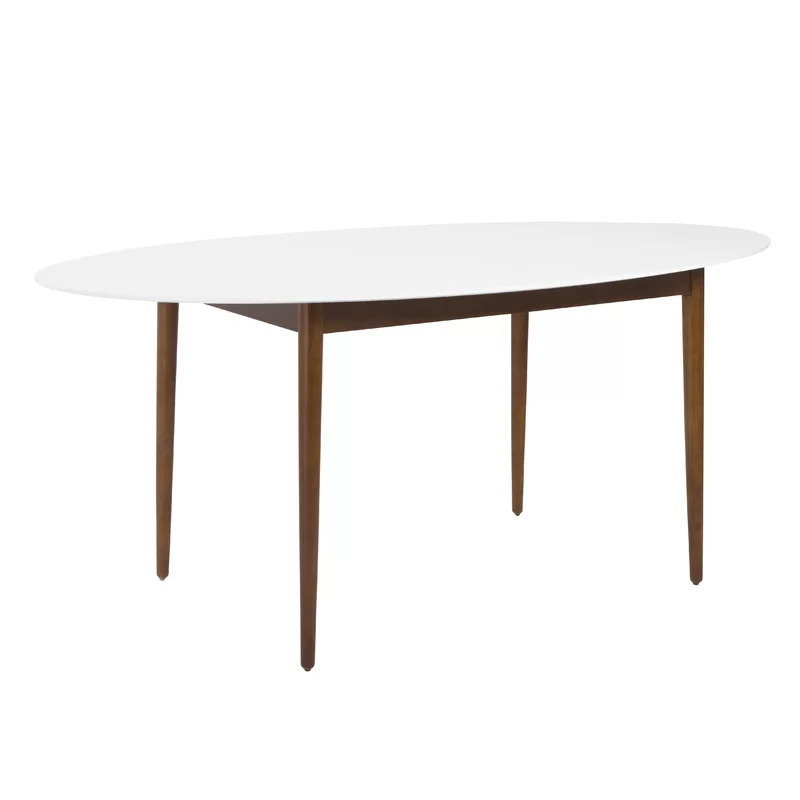 Look no further than this stunning Scandinavian piece. This may very well be the little black dress of dining tables. Simple and sleek, you really can’t go wrong. 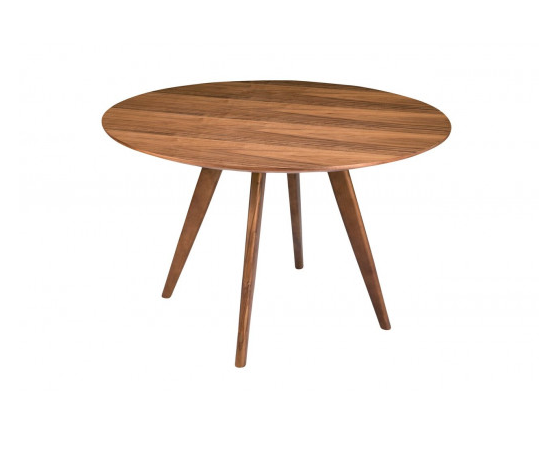 Round out your dining room with this petite prize. 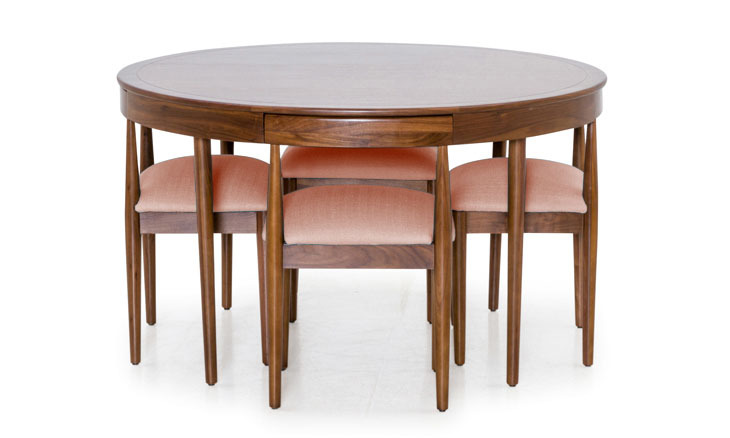 Toscano Dining Set in Royale Blush. Need a more compact design? Complete with chairs that tuck in, this set from Joybird is an instant classic. We recommend the Royale Blush upholstery option. 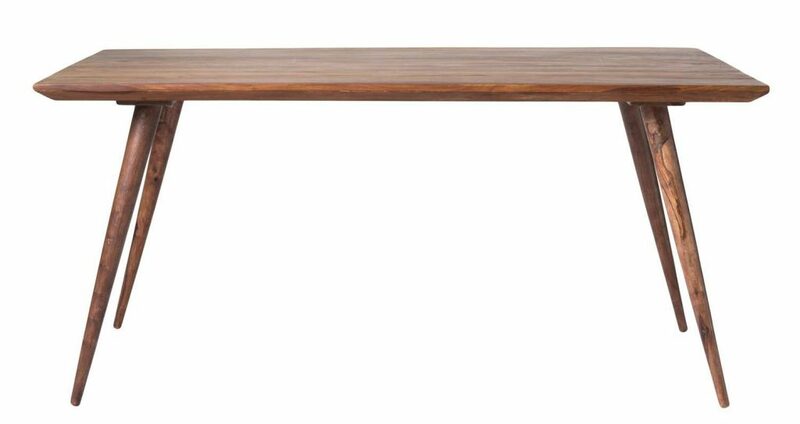 Exeter Glass Top Table in Cherry. 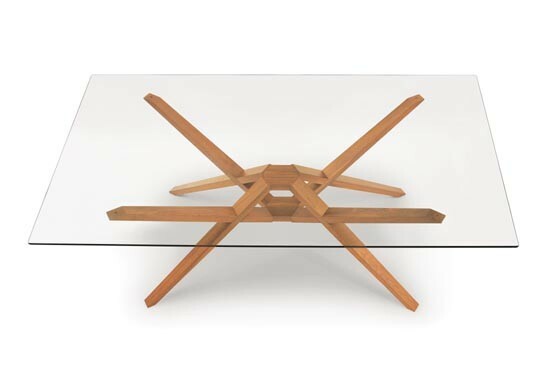 Available in four other finish options, the intricate design of this glass-topped table makes it a definite showstopper.